Market Your Products & Services Like A Professional! 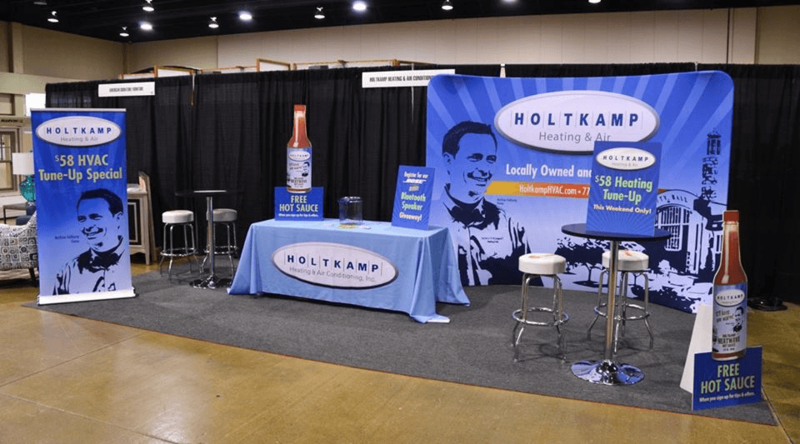 Really Show Your Stuff at your Next Trade Show! Pinnacle Custom Signs can help you with everything from designing the graphics to providing you with easy to transport and assemble displays that will make your message loud and clear. 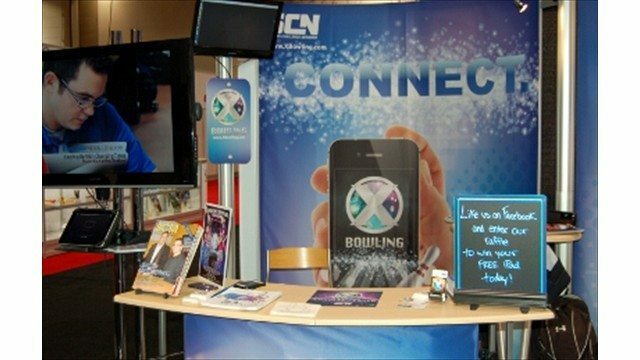 We guarantee your satisfaction at your next trade show. As mentioned above, trade show displays come in all sizes and shapes. 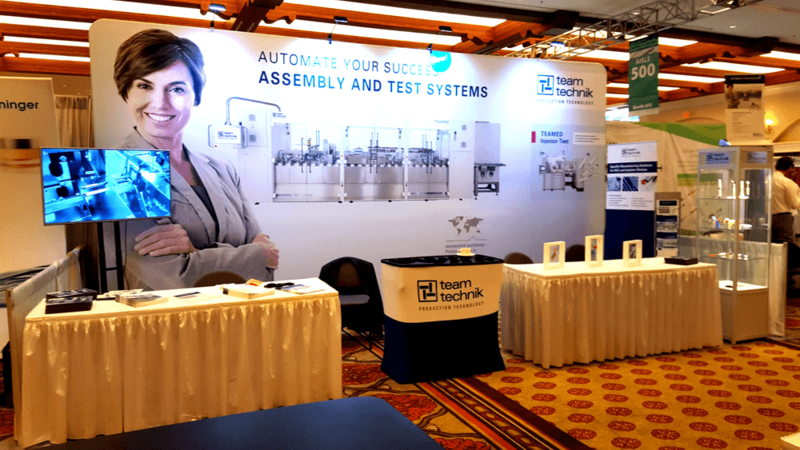 Check out our Exhibitor’s Catalog that shows some examples of just what we can do to get you noticed at your next conference. Trade shows, or trade fairs, are a gathering of a variety of business of the same industry so that each business can display their abilities, new products and their business as a whole to competitors, professional business representatives and the press. Despite the lack of public access at most, these events are great means to increase profit. View trends within the specific industry. Observe other competitors in action. Since trade shows are so abundant with opportunities, it is key to look professional. Looking professional at these events is fairly easy as long as the business is prepared well in advanced and has a display best for its needs. Of course, this can only be achieved to its full potential if the display is spectacular, notable, and a true image of the business it represents and their future plans. When it comes to the display itself there are a variety of options varying in prices and complexity. While the most complex is easily the most eye-catching, it is easily the most expensive, and most businesses are ready to break the bank. 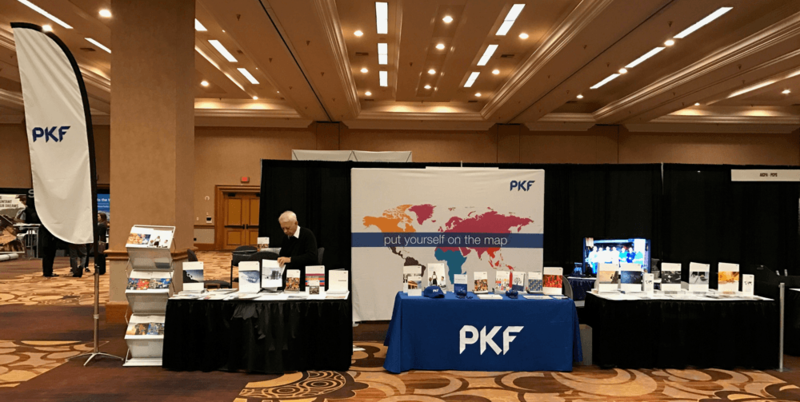 All displays hold their pros and cons, but the key is having a quality sign company or trade show display service to work with the money available to create the best display possible. What this means for a display is that you need to have a clear path to follow. Don’t have too many components all screaming for attention. Allow each section of interest its own space while also leading the attendant to the next point. A layout with a purpose simply means have a specific theme in mind with the display. Don’t override the attendant with too much information. Focus say on a new, innovative product or the process the makes the business so successful. The company commissioned to create the display will usually be able to help with this part. When having a presentation, whether written or spoken, one should always be to the point and as un-convoluted as possible. And finally, interact with the attendants. Get names, or cards; discuss the business, let them have a hands on experience, if possible. Do this, with the addition of an appealing, attention-grabbing display, and trade shows will be nothing but profit. Conferences, like trade shows, are a way for professionals to come together and share ideas. Often, these meetings are rather large and are held in facilities such as hotel ballrooms and civic centers. Additionally, these meetings will often have participating businesses sponsor these events as a way of promoting their business to attendees. This means that the organizers of these meetings have a need for multiple signs to support the event, such as directional signs, sponsor boards and meeting & room names. Conference Signs can come in many sizes, but most often are put on easels at the conference facility. When this is the case, we normally create the signs using laminated 3M vinyl adhered to foam board. 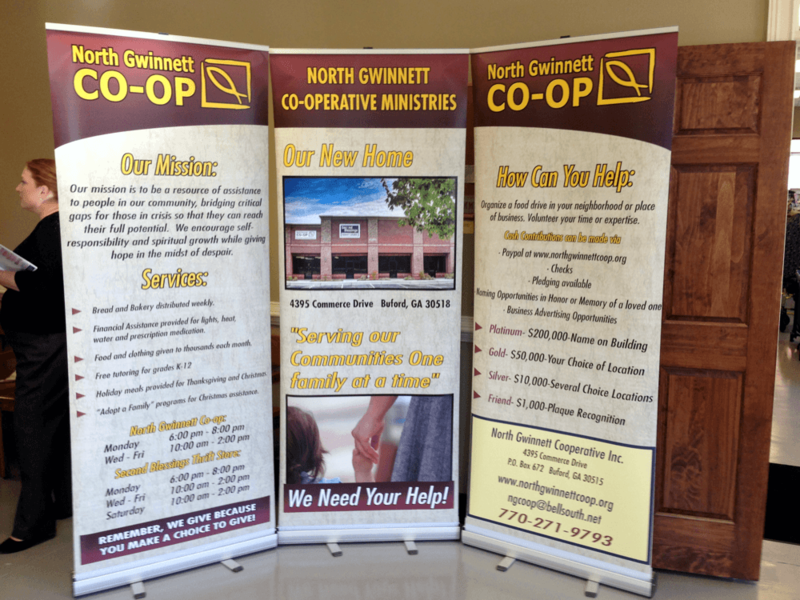 In the past few weeks we have been given the opportunity to do signage for two conferences in the Atlanta area in mid-October. 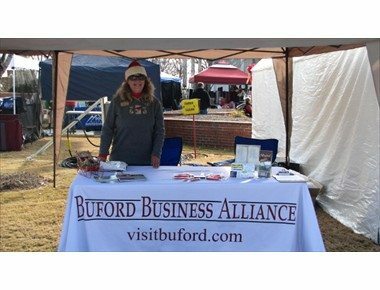 The Georgia Nurses Association (GNA) held a similar conference two years ago when we first opened our business. 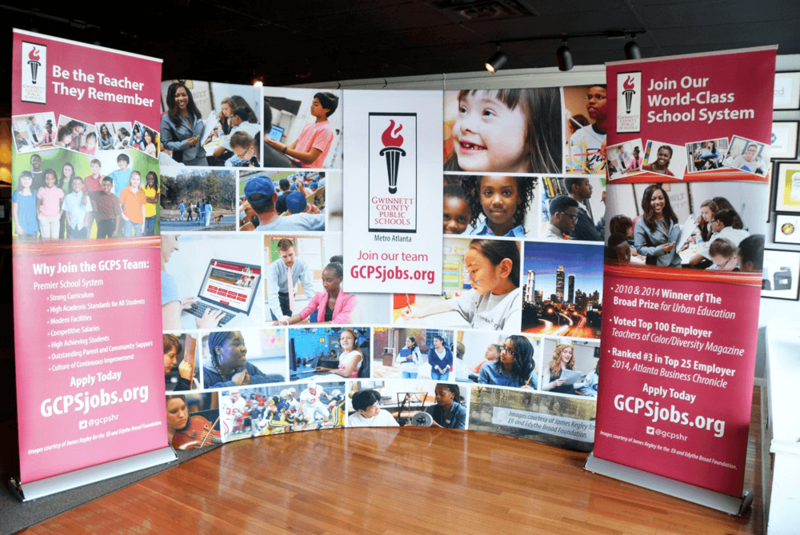 Because of this, we were able to use the template that we used for the previous conference to create nine 24” x 26” signs, including an exhibitor sign, several sponsor signs for various activities at the conference and a room identifier. For Applied Software, we were contacted by a former colleague that was doing marketing for them. For this conference, we had a variety of sign needs. First, they needed approximately twenty-five directional signs that were going to guide participants to the location. We put these on corrugated plastic (a.k.a. coroplast) which allowed us to use metal stakes to put into the ground. Then, like the GNA conference, we did several signs on foam board. Larger boards, were used to welcome participants, tell them where to sign in and to indicate where demos would be held. They also needed smaller table signs that were used to let people know when they would be holding breakout sessions and other special services. Conferences come in all shapes and sizes and are unique in their own way. Signage for these events are usually varied and require a good bit of coordination, especially when trying to recognize sponsors with the appropriate branding. Your sign company should be able to guide you into producing signs that will help those in attendance to be at the right place at the right time so they get the most out of what you’ve planned for them. … I’ve got to let you know what a hit all the signage was. Clear directionals, beautiful posters and door signs. Really top-notch! And it was such a pleasure working with you all again. Speedy, excellent work all around! We even had some qualified walk-ins based on the signage…that’s pretty amazing. 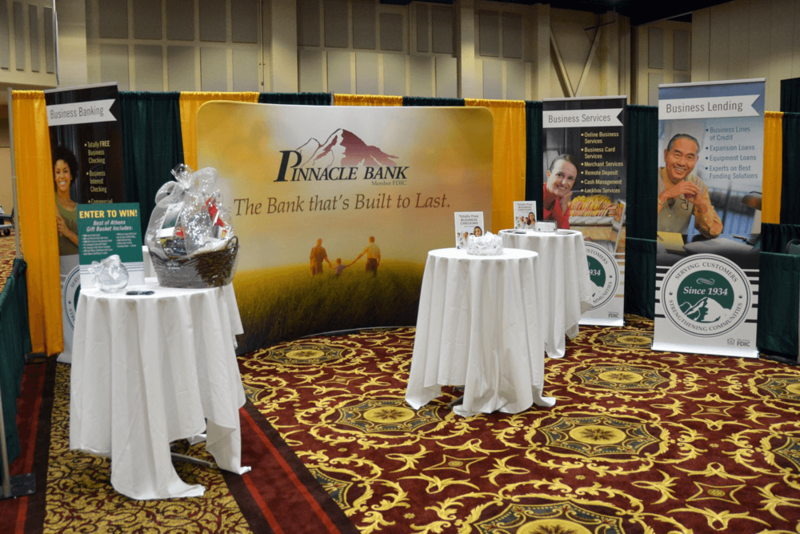 Next time you have a conference to plan, please give Pinnacle Custom Signs a call. We will worry about your signs while you take care of the business of making that conference a success!